Friday, February 20, 1914: Nothing much doing. Have you ever heard of anyone holding a party to celebrate Washington’s Birthday. It must have been a much more popular holiday a hundred years ago than what it is now. 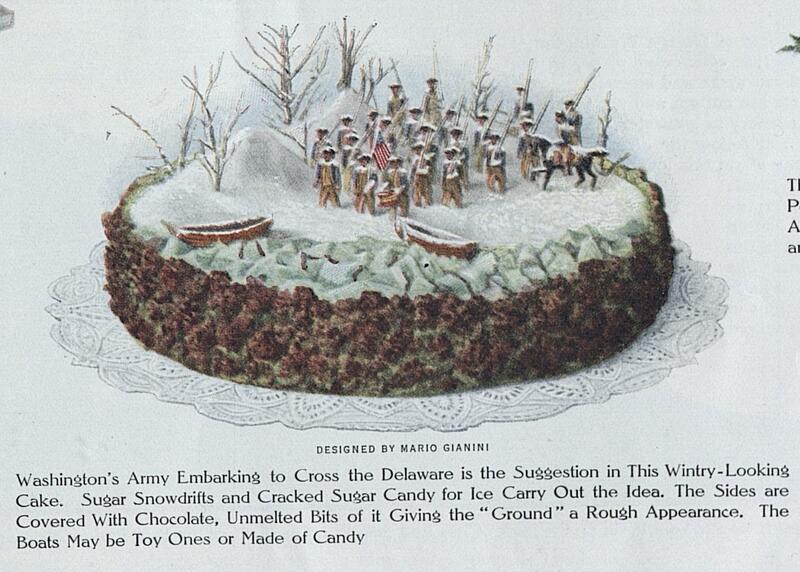 Since Grandma didn’t write much a hundred years ago today, I’m going to share some fun food suggestions for a Washington’s Birthday party that appeared in the February, 1914 issue of Ladies Home Journal. In the 1960s, Washington’s Birthday morphed into President’s Day which is celebrated on the 3rd Monday in February. But, in 1914, Washington’s Birthday was celebrated on his actual birthdate, February 22—and apparently it was a bigger deal than what it is now. Posted on February 20, 2014 February 19, 2014 by SherylPosted in Food, HolidaysTagged 1914, family history, genealogy. Old Sturbridge Village, a large, outdoor living history museum in Sturbridge, Massachusetts, which portrays a rural New England village in the 1830s, commemorates Washington’s Birthday every year. Historian-intetpreters at the museum offer all sorts of information about how popular the holiday was at that time, and serve up a special menu of events, including a dance and baking an 1830s birthday cake recipe to honor the first President. They stress how widely the holiday was celebrated around the US in the early Republic and have a great deal of documentation to support it. The Washington’s Birthday celebration at Old Sturbridge Village sounds like a lot of fun. It’s a little sad how interest in a holiday can wane over time. This is so interesting! I wanted to share it on Facebook, or email it to some friends, but didn’t see those options? Did I miss them? You should be able to share it now. I just added Facebook, email, and Pinterest buttons. Thanks for the suggestion. I can also remember a few of those school projects that my kids did that took days to pull together. At the time I remember thinking that teachers shouldn’t assign such time-consuming projects–now it’s fun to remember them. What an elaborate cake themed with ‘Crossing the Delaware’ – don’t think any ordinary farmers family will be making this! My sense is that Ladies Home Journal sometimes portrayed things that readers could aspire to make or buy–even if they never actually did it. . . Sort of like how television shows today like House Hunters International portray a lifestyle that most of us will never live. Belated happy birthday wishes. . . I hope that you had a wonderful day. Thank you. I did. And, I had some real cake and homemade frosting on it. All in all a good day. Homemade frosting is the best! This was from a cream cheese base. Melanie makes it perfectly. I love historical trivia and this is so interesting. My friend’s birthday is Feb. 22 so I will definitely share this with her. No word on the Valentine? Can you tell I want to read ahead in Grandma’s diary? You have me hooked. No word yet. . .
What an interesting tidbit of American history! Here in Alberta, Canada, we celebrate Family Day on the 3rd Monday of February. What a wonderful name for a holiday! How do people typically celebrate it? Are there any special events for Family Day? Family Day sounds wonderful. I wish that the US had a similar holiday. Very interesting! …and any reason to have cake is good enough for me. I agree. . . I can always eat cake! Grandma must still be recuperating! What an amazing book cake. I can’t imagine going to the detail, and then just eating it! But then, I’m no baker…. When my children were younger, we used to like to try to replicate fancy cakes in a Wilton cake decorating book that I had. This book cake looks like it would be a fun project–even if it didn’t end up looking as nice as the one in the picture. I bet that a fork could be used to make the page edges. I made a Snoopy cake once for my daughter’s birthday because we had a little beagle at the time. It about did me in! 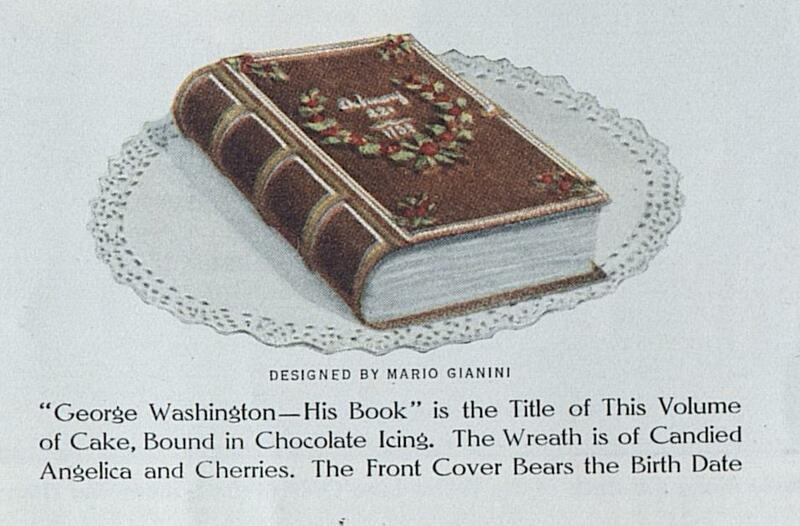 But a book cake is definitely intriguing! You’re welcome. . and thank you for encouraging me to explore the dashboard and figure out how to add the additional buttons. I’m honored that you enjoyed this post enough to think that it was worthy of reblogging. You are very welcome 🙂 Have a wonderful day! Holy Hannah, those are fancy. No one around here needs any baking right now, bummer. I agree about not needing any baking right now. My New Year’s resolutions seem to be slowly falling by the wayside.